A woman has suffered a truly horrific fate after she was attacked and had her throat slit at a busy shopping center. 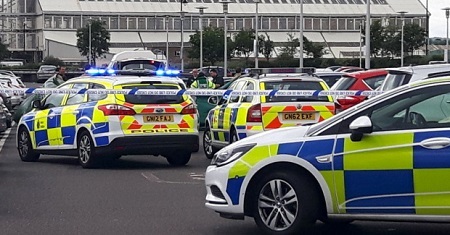 An American woman has died after she allegedly had her throat slit in a busy shopping centre car park this morning by a man. According to Metro UK, police rushed to the scene near an Odeon cinema at Dockside outlet centre in Chatham, Kent, following reports of a ‘serious assault’. The unnamed woman, who is believed to be in her 20s, suffered injuries consistent with a stabbing. The attack is believed to be a domestic incident. The man is said to have shut his partner in his car before attacking her at around 11am. A witness said there was lots of blood and people could be heard shouting. A 25-year-old man from Rochester was arrested at the scene on suspicion of murder.